M ost people get a little stressed out at the thought of choosing colours for their custom picture framing project. It’s the single biggest point of indecision our clients have: they’re unsure of “The Rules”…! Should the colours match exactly? Or should the colours just compliment? Wait, or should the colours match more to the piece or to the environment it’s hanging in?! 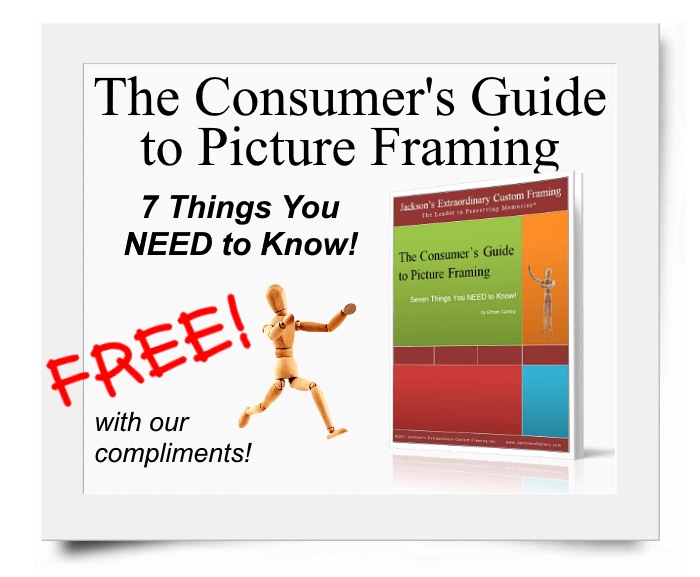 Technical framing expertise is only half of the equation; a good picture framer should also be able to help you design-wise. If you’re stuck and/or need something in a hurry you can always fall back on black; it’s neutrality ties in pretty much anywhere. Black isn’t usually our first choice…but it’s hardly ever the wrong choice. 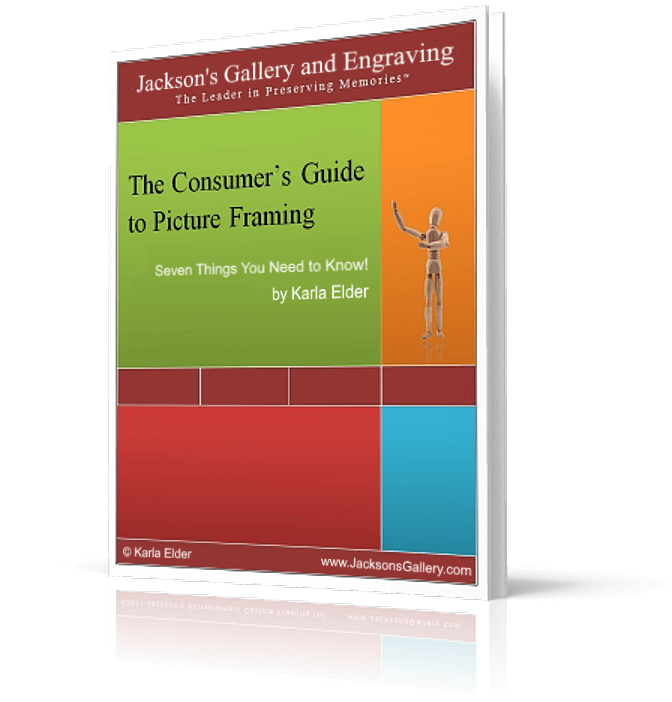 Get your FREE copy of ‘The Consumer’s Guide to Picture Framing: 7 things you NEED to Know’! 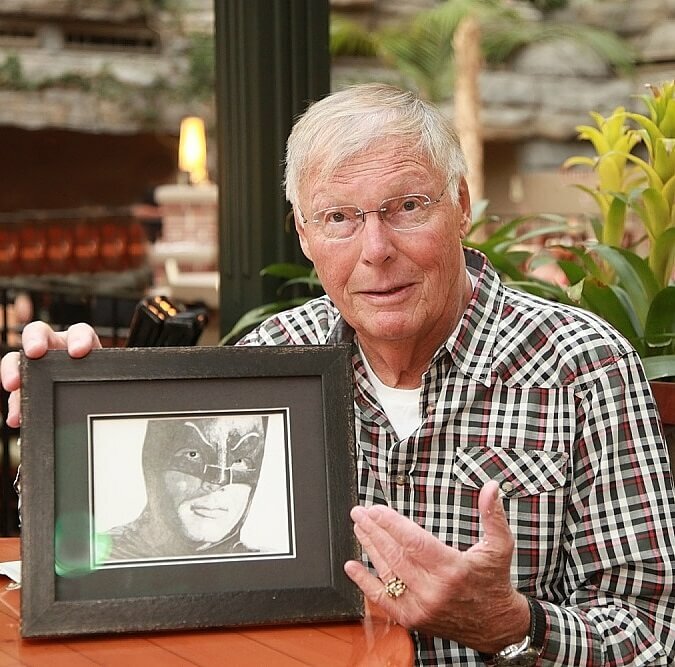 We’re The Leader in Preserving Memories™! I agree-i try to keep everything neutral as well. It tends to match better!